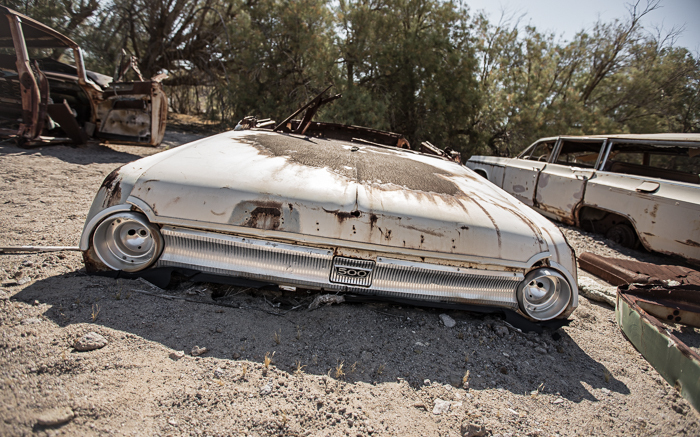 Traveling to Zzyzx Mineral Springs, a California Mojave Desert destination left abandoned by Curtis Howe Springer. 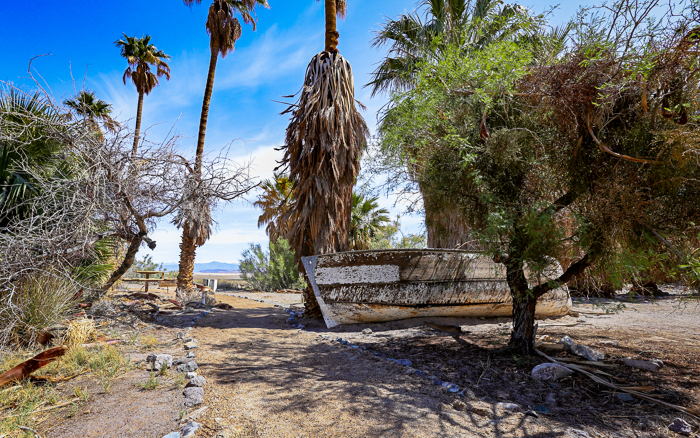 Sitting near the northern edge of southern California’s desolate Mojave National Preserve is the incorporated community of Zzyzx, California, a small area centered around a the Zzyzx Spring. In recent history, this water source formed the foundation for a small population center first based on a train station, and later as the real estate speculation of a quack “medical doctor” and scam artist. 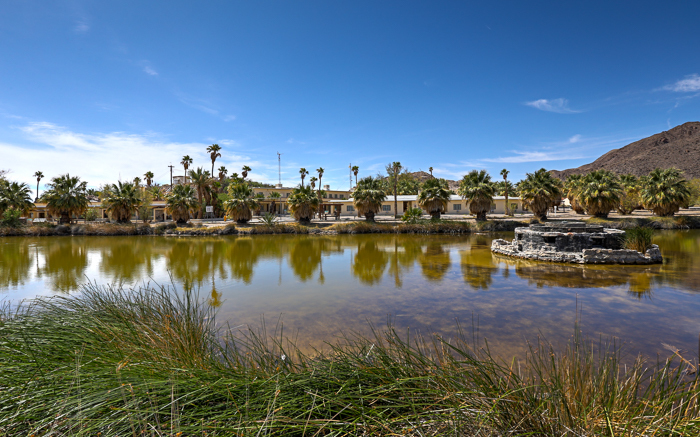 Lake Tuendae, where the spring water collects into a large rectangular march – with a fountain remaining in the center of the lake from the days of Howe’s resort – is some of the only habitat for the Mohave tui chub. The land, once an army outpost and later a stop along the Tonopah and Tidewater Railroad line, saw its largest development and popularization after radio evangelist Curtis Howe Springer, who had a history of fraudulent claims regarding his own background in medicine, filed a mining claim for the land in 1944. 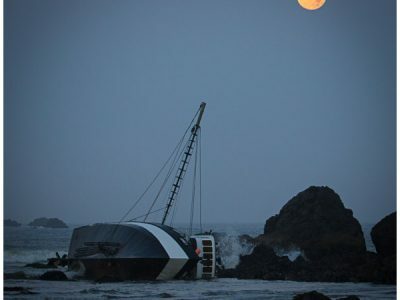 Several previous attempts by Howe to start health resorts had closed or been repossessed. 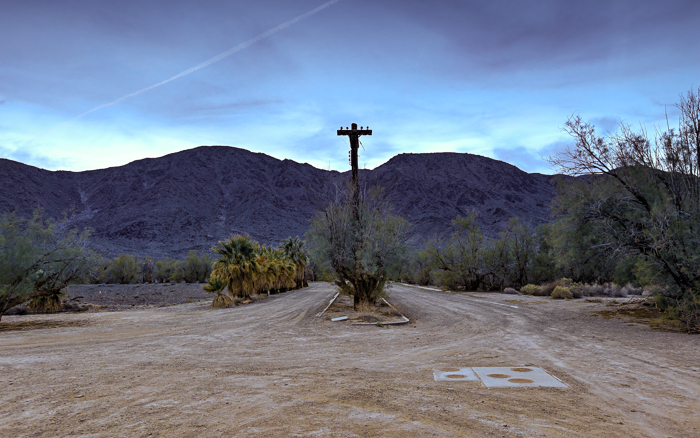 Howe named his Mojave land Zzyzx, boasting that it was “The Last Word” in health. It’s more likely that this name was based on the idea that federal mining claims in the area had a relatively small and overworked number of inspectors who went down their location list alphabetically, and such a name ensured that it would be quite some time before a more scrutinizing eye was placed on Howe’s community. 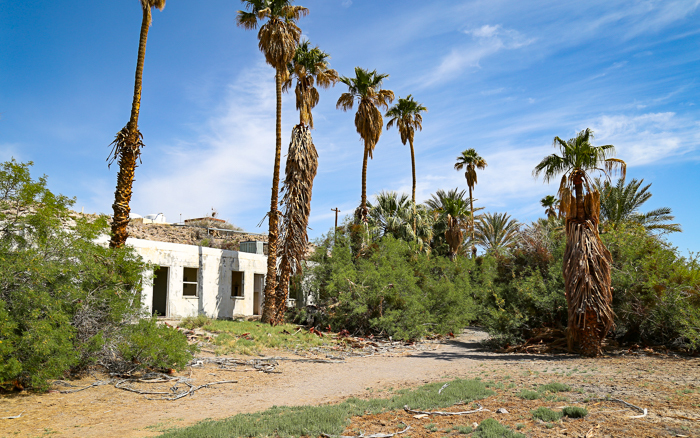 Howe, called the “King of Quacks” by the American Medical Association because he may have had no medical educational background at all, developed the land into the Zzyzx Mineral Resort. The resort contained a church, hotel rooms, and lots where homes could be built and which he advertised on his internationally syndicated radio show. Howe had advertised the “natural hot springs” at the resort, despite using a boiler to heat the property’s natural spring water before it entered the tubs. Eventually the federal government sued Howe for operating a private establishment on mining land. 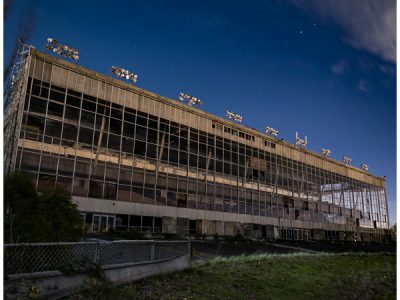 In 1974, Howe was forced to forfeit the land, and those who had built homes at the resort were evicted. Two years later, the land was turned over to the University of California system for management. 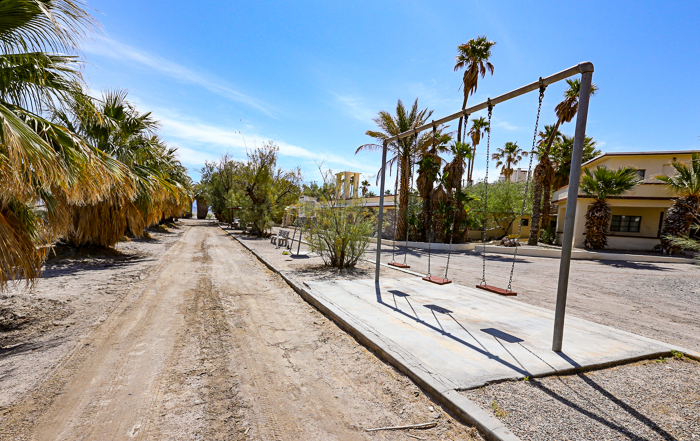 While many of the resort buildings have been taken over for use as classrooms, a dining room and dorms, more abandoned buildings line the property. The old bath house with indoor changing area sit along the eastern edge of the property. While underground bunkers now used for storage, a graveyard of classic automobiles, and plotted roads that were once residential streets with names such as Blvd Of Dreams surround the core buildings. And it is not uncommon to see wildlife that make their way down from the arid mountains to drink from the numerous water seeps in the area. 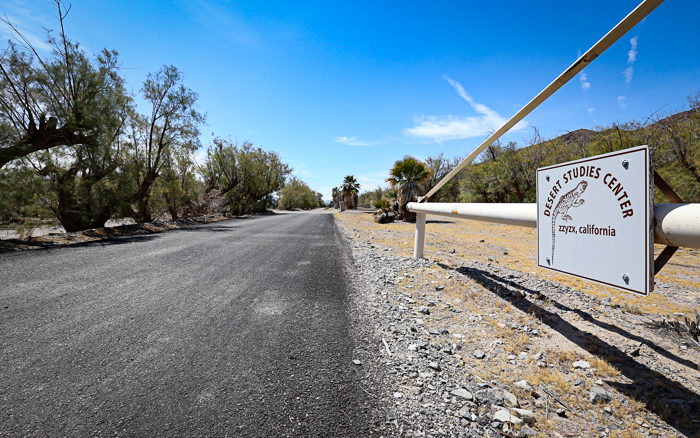 The Center for Desert Studies, as it is known today, allows visitors during daytime hours, provided they park in a gravel lot outside of the entrance gate and enter on foot. Entrance gate down Zzyzx Road. 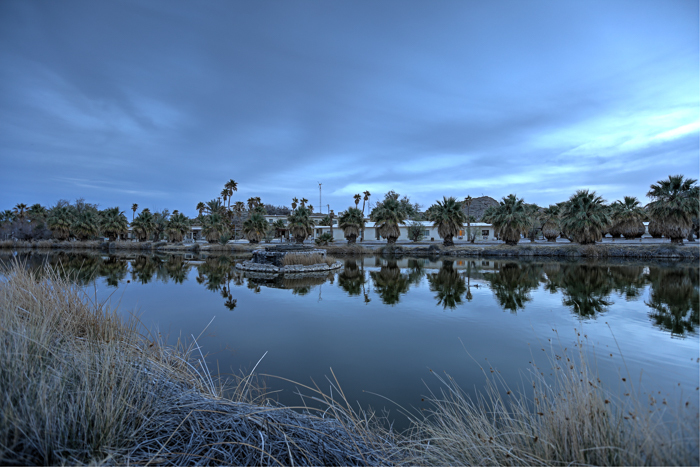 Lake Tuendae with the old buildings of Zzyzx Mineral Springs Resort behind it. 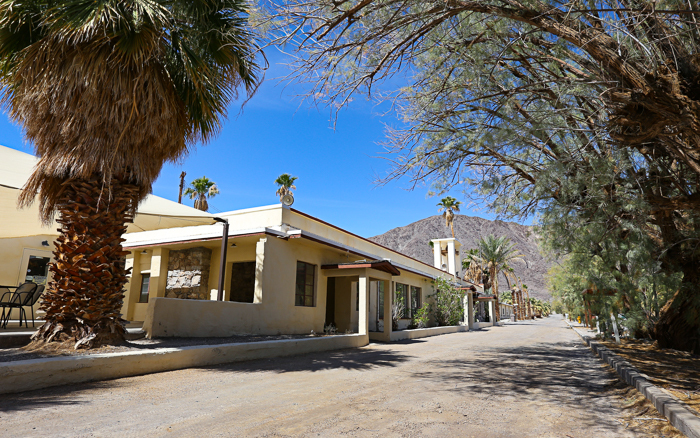 Zzyzx Mineral Springs Resort buildings. A landlocked boat from when the lake was used for resort recreation. The bathhouse for the hot springs. 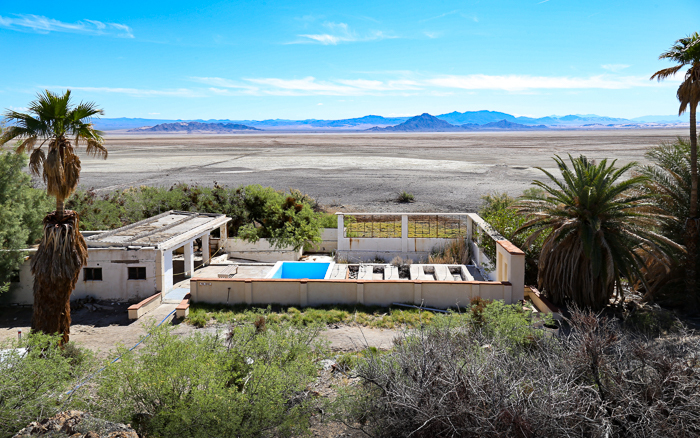 A view over the former hot springs pool at the edge of a Mojave valley. 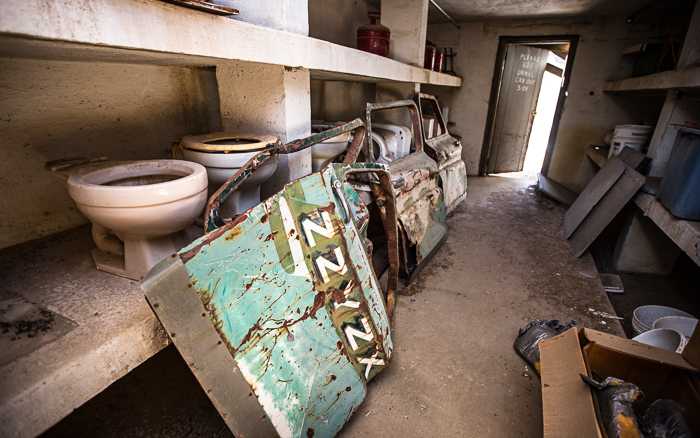 A classic automobile graveyard on the fringes of the former resort. 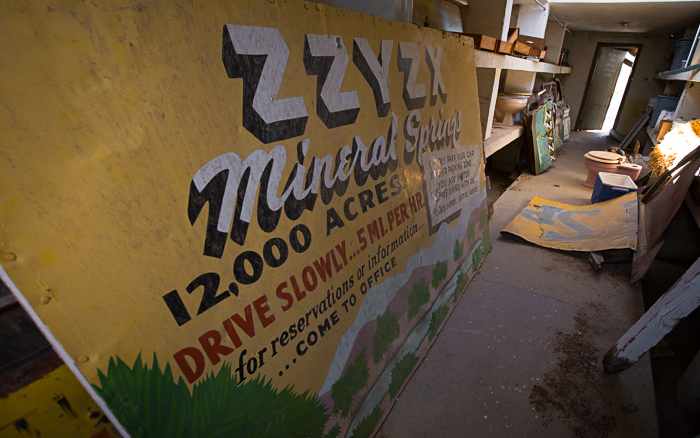 An old resort sign currently stored in an old bunker. Car doors from an old resort vehicle. 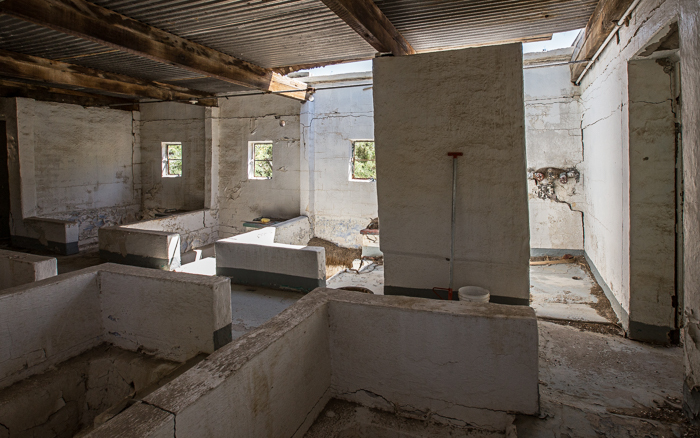 An abandoned line of rooms from the resort. 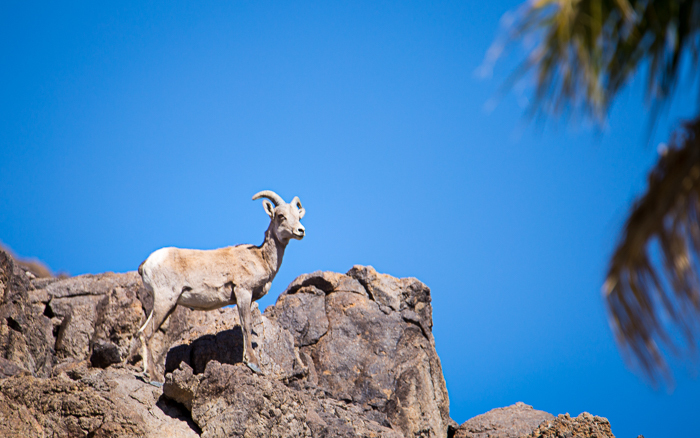 Bighorn sheep come down to the resort area to drink from the seeps near the springs. 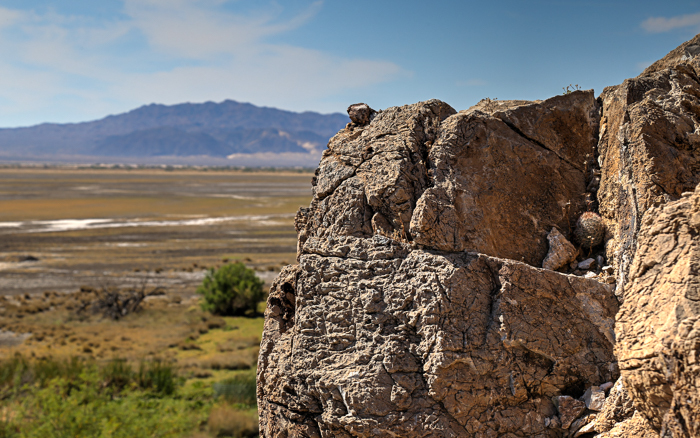 Rock formation overlooking the Mojave Preserve. Abandoned and overgrown roads plotted out from Springer’s community.